Good review of a good book, although I’m not sure why you think the ghostwriter is “fame-chasing”. 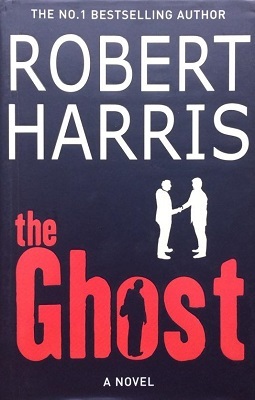 (I wrote the book which Robert Harris quotes at the beginning of each chapter, by the way). Andrew, thank you for your comment. Please understand that my comment was directed at Harris’ fictional creation and not a description of the ghost-writer as a profession. What struck me about Harris’ narrator was that he had no interest whatsoever in his subject’s political life. What interested him (in the initial stage of the book) was his fame, the degree of passion he elicited from the public. This was what the writer hoped to tap into. As he notes, political biographies are ‘boring’, because they are concerned with policies and a dry retelling of history. What he observed in the Prime Minister was a consummate populist who was in a sense no different from any other celebrity and should be written about as such. In fact he is chosen for the gig after the PM and Ruth approve of a rock-star ‘auto’biography he has written. Thanks for dropping by. I loved how the quotations from your book gave shape to The Ghost as a novel. Ah, I see. I think my views regarding political autobiographies pretty much chime with those of Harris’s ghost.